The agency is celebrating its highly successful campaign for leading disinfectant brand Zoflora at Crufts 2018. Members of our Zeus team headed to the Birmingham NEC last week to support our client, Zoflora, as they made their inaugural attendance at the prestigious Crufts show. 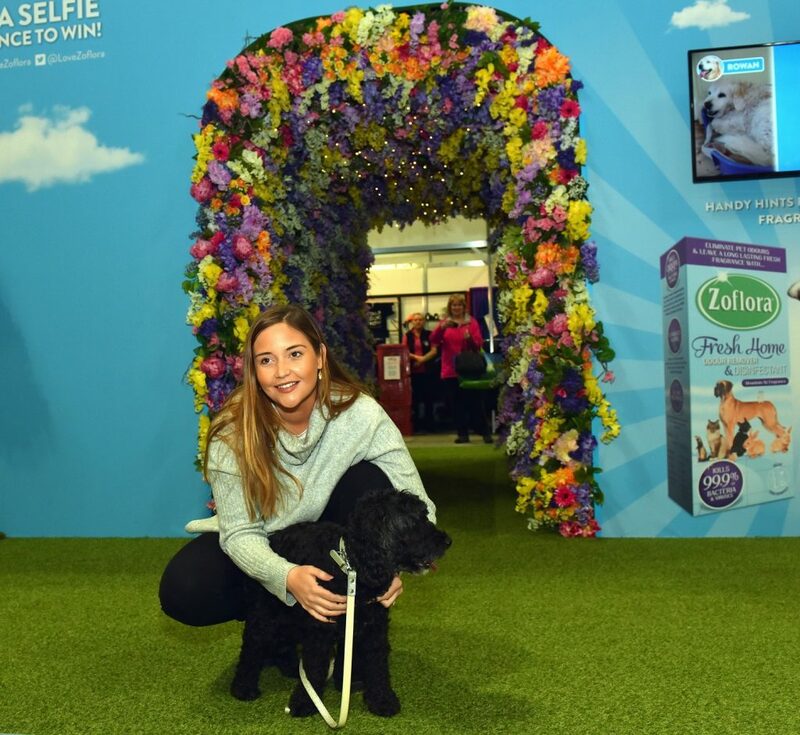 The agency arranged for television actress, Jacqueline Jossa, famed for her role on BBC One’s long running soap, EastEnders to unveil the Zoflora Fragrance Walk along with her Cockapoo, Rosie. Standing at over two metres high and nearly four metres long, the Zoflora Fragrance Walk comprised of exquisite fantasy flowers including daffodils, lavender, roses, hydrangeas and greenery to represent the natural fragrances and floral notes which are found in Zoflora’s extensive product range. The soap star also introduced the brand’s VIP (Very Important Poodle), a two metre high floral sculpture of a poodle, a breed synonymous with Crufts’ prestigious Best in Show category. The Zeus team generated awareness and excitement of Zoflora’s attendance, by managing a high impact press photocall and instigating hardworking media relations campaign to secure maximum coverage in the consumer, trade and regional media. Key highlights to date include national coverage in OK! magazine, Daily Express and Daily Mirror. Jacqueline also shared her experience on her social media feeds including a video to her 1.3 million Instagram followers, which was subsequently shared by major media, digital influencers and her loyal followers. 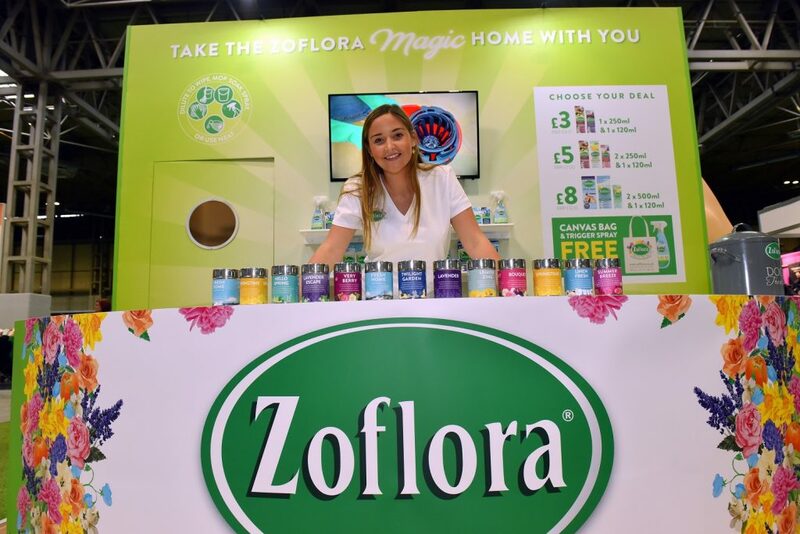 Zoflora showcased their pet-friendly product, Fresh Home at the show, which has been specifically developed to eliminate pet odours and be kind to pets’ delicate noses. Like all Zoflora products, Fresh Home kills 99% of bacteria and keeps homes fragrantly fresh.